I can’t profess to being a die hard Avengers fan but, being a mother to 3 boys, I don’t have much option of avoiding the films and, on the whole, have found them pretty entertaining. When this film was released and I saw the trailers, I thought it would be a good one to take my boys to as a treat. They are 6, 8 and 10. 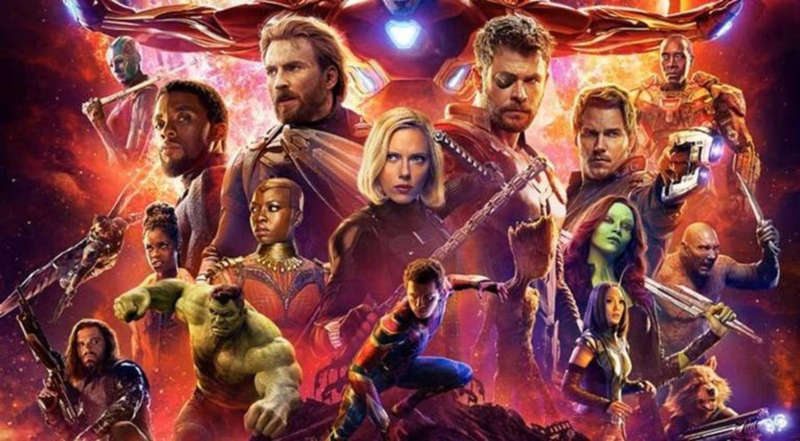 The film sees the entire composite of Marvel super heroes join forces to fight the big baddie ‘Thanos’ in the ultimate battle. Thanos is threatening the universe in his quest to wipe half of it out in order to regain a better balance. The film is action packed and has some excellent scenes and effects. We watched in 3D which was great but I still think young children and 3D glasses are not a match made in movie-watching heaven! My 6 year old certainly found the film tricky to follow in places and I would say there were parts that he found slightly scary. I felt that there were too many iconic heroes to keep track of – in most films you have one hero that you follow and root for whereas some of the usual suspects of this film didn’t get enough dialogue to really form a good connection. There seemed to be 3 ‘teams’ made up of the various heroes – Doctor Strange was trying to protect the ‘time stone’ with help from Iron Man, Hulk and Peter Parker (AKA Spiderman). Thor joins forces with the Guardians of the Galaxy who have their own plan to try and stop Thanos. The remainder of the heroes all join to help protect the ‘mind stone’ set in to Visions’ head! This all culminates in an awesome battle which really was pretty spectacular. I am not going to ruin it for those who have not yet been to see it but I did walk away wondering how they would make another film after this one but I am certain they will manage it! It is not a typical ‘goodies save the world’ type Hollywood film but it does entertain and is worth a watch.